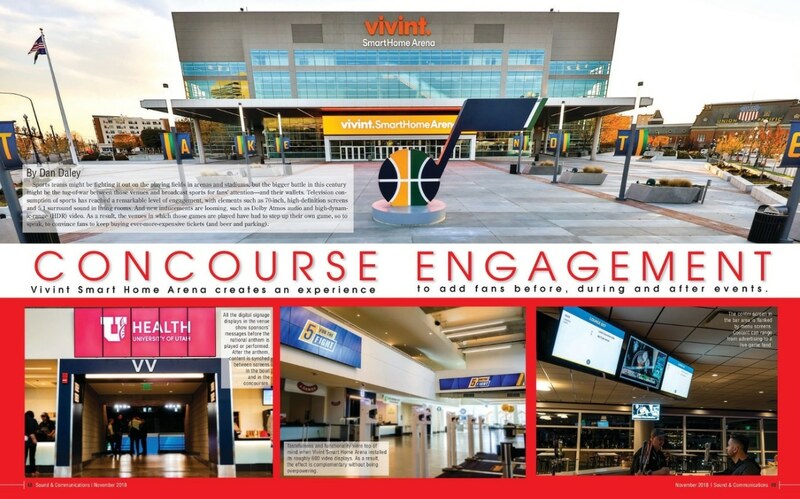 Just over a year ago, we participated in one of the largest projects we’ve ever done: the renovation of the Vivint Smart Home Arena in Salt Lake City, Utah. We put in over 900 pieces of equipment, including 600 distributed audio speakers & over 100 Extron control pieces. We primarily installed the audio and control systems inside the suites and “super” clubs – where we had to calibrate the Digital Signal Processing (DSP), and set up control and adjustments for the separated audio zones. Because of the amazing feat, AV upgrades were featured in November’s 2018 issue of Sound & Communication magazine – Read The Article Here (link will open in a new tab)! 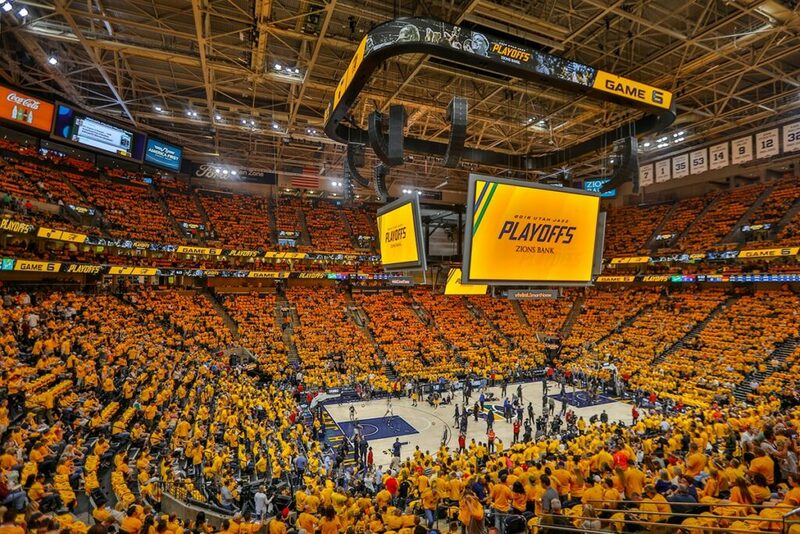 This entry was posted in General News and Updates, Installations and tagged digital signal processing, DSP, Extron, Separated Audio Zones, vivint arena.